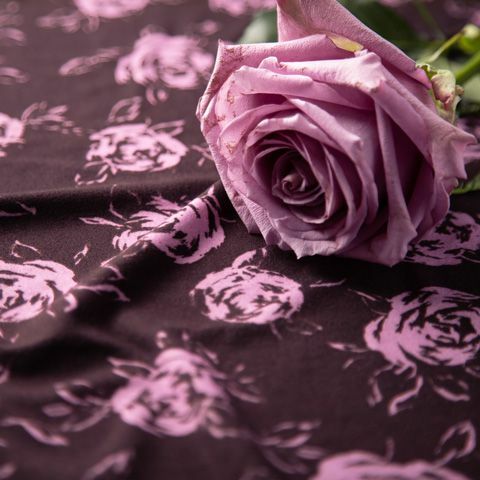 Discover our beautifully hand-made dress in pretty rose print with feminine shell-like bust. 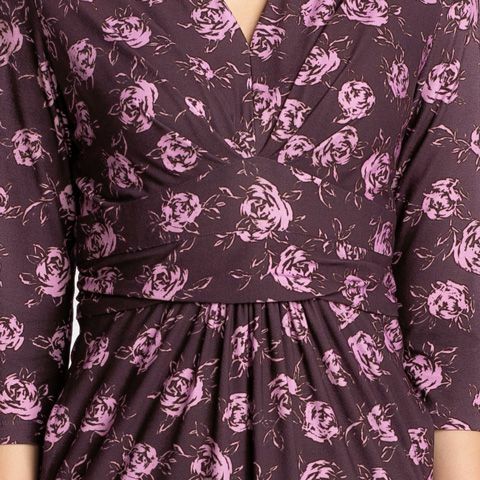 Celebrate your femininity with our charming dress in elegant rose print. The built-in belt-style waist flatters your natural figure.